The Text Bubbles pretty much speak for themselves. I will follow up LATER with charts that INCLUDE indicators. I've been up all night and feel lazy at the moment. I have NO IDEA what her firm would recommend one to put their capital into. It's my recommendation to put it into PHYSICAL PRECIOUS METALS "IN YOUR HANDS" and a percentage in CRYPTO. I do not agree with that lady in regards to Crypto. Comment: I would not be surprised if this goes down just before the 2018 mid term elections. Meaning, it would be the Central Banking Cabal's way of TRYING to turn people away from voting conservative (while blaming the dump on conservative economics) in an effort to usher in their new system and socialist/communist politicians who HIDE behind the name PROGRESSIVE and LIBERAL. "ARE YOUR ACCOUNTS REALLY YOURS?" Comment: Posting the Monthly TF with the exact same text bubbles. So, ignore the text bubbles. I simply wanted you to see the change in the indicators. It's not looking good. We are down 9% from ATH and still falling. The BIG "smart" money is getting out with premium profits while the small foolish man takes the hit. Excellent work sir, a lot of great information here! 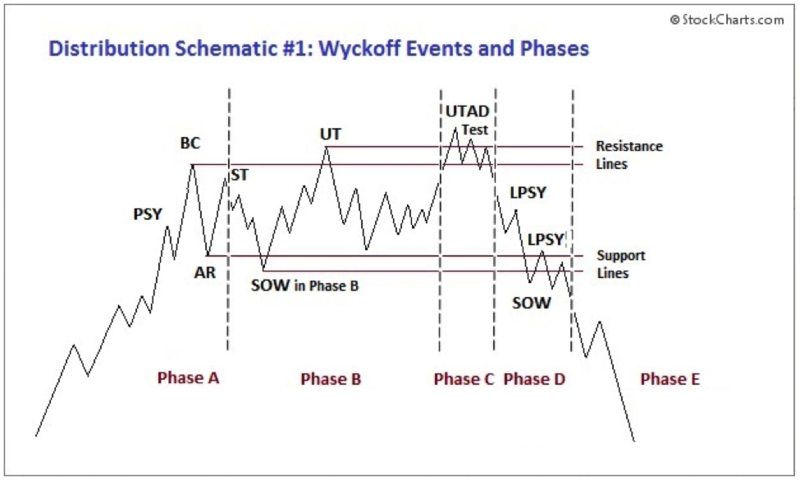 Though from a Wyckoff perspective I would say that Phase E ended in November of 2016 and we are currently in a markup phase. Thanks for posting! Actually, We never entered Phase E at all in 2016. Phase E is NOT mandatory. What determines a phase E is determined mainly by the laws of supply and demand in collocation with fundamental analysis. 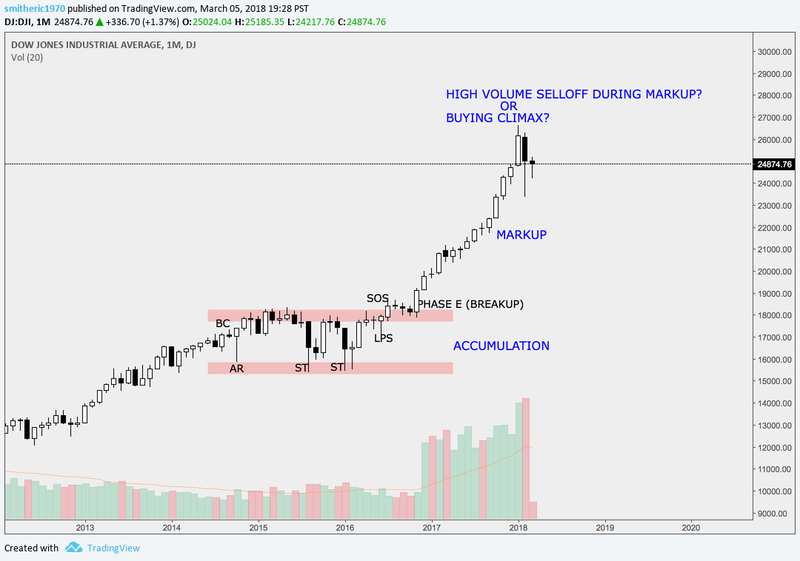 Still believe the "Mark-Up Phase continues?" Yes, I really like, Mike's stuff.